Marge: Homer! You didn’t do a very good job frosting Maggie’s birthday cake. Homer: What? It’s not Magaggie’s birthday? One of the great perversities of home improvement is that when paint is applied to woodwork, it tends to obscure details, but when paint is applied to a wall, it emphasizes Every Tiny Flaw. And in a house over 90 years old, there are quite a few flaws. 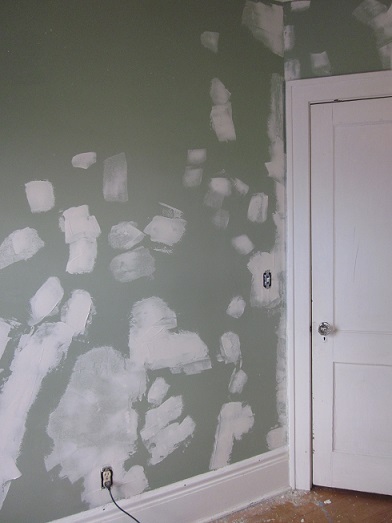 But joint compound or patching plaster can help shape things up. 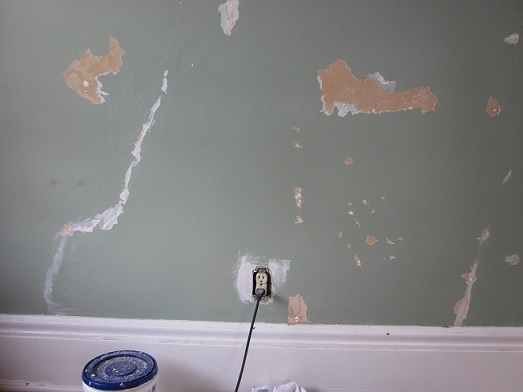 It won’t be perfect, but the human element is one of the charms of plaster walls. RIGHT? 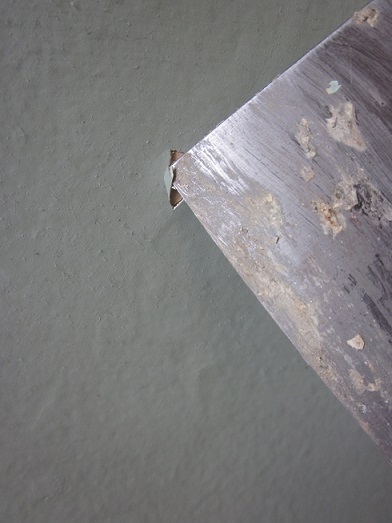 Start by looking for places that the surface is cracked or paint is not adhering well, and use a scraper to remove anything loose. I work the surface back to where everything seems to be hanging together really well. I also uncover cracks and follow them until they disappear. After a while, the wall will start to look like it’s picked up some sort of pox. Is it shabby chic yet? There will be some cracks in the walls themselves, but a little digging often reveals a crack in the corner where the plaster comes together. I fill these with caulk and then run a bead all the way up the seam and smooth it over. 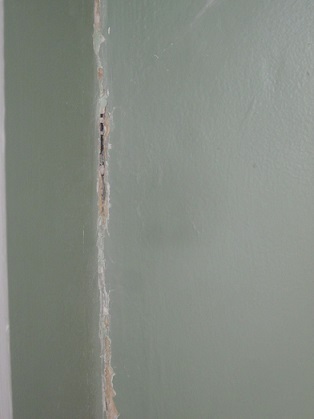 The regular cracks also receive some love in mastic form. I let that goo dry, and then I whip out my cake decorating skills! Using a plaster spatula (this is actually what this tool is called — I thought I was just being silly all these years), I spread joint compound into and over the gaps and dents I’ve just created. 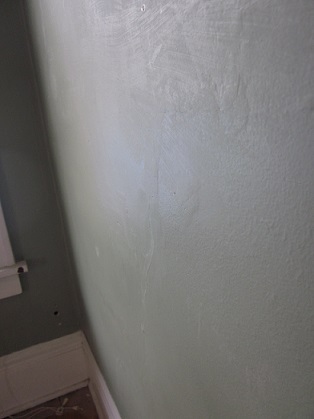 If there’s an area that’s just a little rough, I’ll skim coat it, but most of the application is a cover up operation. After this application is fully dry, I’ll go back and hit it with the palm sander to smooth everything down. Sanding may reveal a few places for a little more touch-up work, but that’s generally pretty minor. This entry was posted in Construction, Repair & Maintenance, Walls & Floors and tagged fixing plaster walls, plaster and lathe, repairing plaster. Bookmark the permalink.